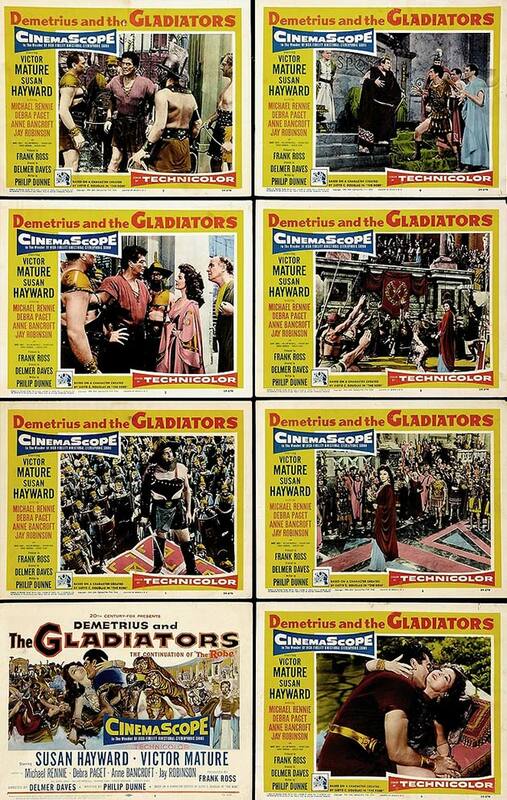 US lobby cards set for DEMETRIUS & THE GLADIATORS. Excellent set even if it's missing one card with that title card. Nothing bad to say about it except that for a film in Cinemascope the photos on the lobby cards are still in 4:3. They should have had lobby cards in Cinemascope. Ah!